CTS 2D Coupe 3.6KBB.com Brand Image Awards. Only 84,969 Miles! 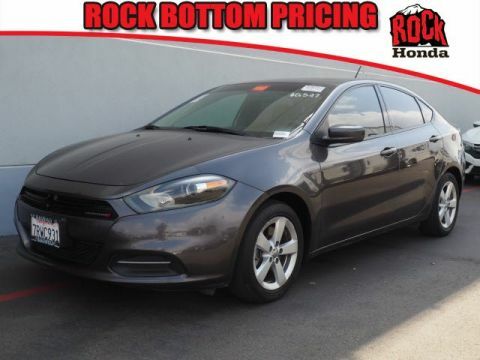 Boasts 27 Highway MPG and 18 City MPG! This Cadillac CTS Coupe delivers a Gas V6 3.6L/220 engine powering this Automatic transmission. WHITE DIAMOND TRICOAT, WHEELS, 18 X 8.5 (45.7 CM X 21.6 CM) FRONT AND 18 X 9 (45.7 CM X 22.9 CM ) REAR PREMIUM MULTI-COAT PAINTED FINISH (STD), TRANSMISSION, 6-SPEED AUTOMATIC FOR RWD (STD). 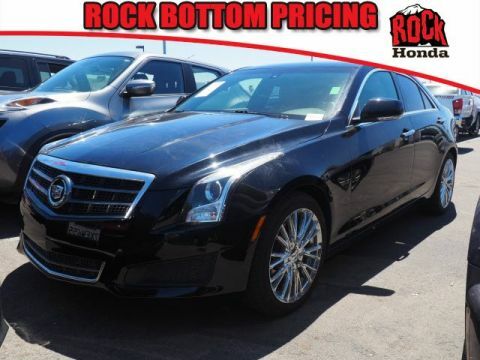 * This Cadillac CTS Coupe Features the Following Options *TIRES, P235/50R18 FRONT AND P265/45R18 REAR, V-RATED, ALL-SEASON BLACKWALL (STD), SEATS, FRONT BUCKET includes 8-way power driver seat adjuster and articulating head restraints (STD), PREMIUM PREFERRED EQUIPMENT GROUP includes standard equipment, LICENSE PLATE BRACKET, FRONT, ENGINE, 3.6L VARIABLE VALVE TIMING V6 DI DIRECT INJECTION (304 hp [226.7 kW] @ 6400 rpm, 273 lb-ft of torque [368.6 N-m] @ 5200 rpm) (STD), CASHMERE/EBONY, LEATHER SEATING SURFACES, AUDIO SYSTEM, AM/FM STEREO WITH CD/DVD PLAYER (AUDIO ONLY), MP3 PLAYBACK, BOSE 5.1 SURROUND SOUND 10-SPEAKER SYSTEM AND HDD-BASED NAVIGATION with XM NavTraffic/Real Time Weather, 8 diagonal glide-up screen with voice and text guidance, auxiliary input jack, Radio Data System (RDS), 40GB Hard Drive Device (HDD) and USB with audio connectivity (STD), XM Radio is standard on nearly all 2011 GM models and includes 3 months of trial service. (Get over 170 channels, including: commercial-free music, sports, news, talk, entertainment, comedy, family and kids' channels, and much more. With XM's incredible range of programming, everything worth listening to is on XM. Requires a subscription sold separately by XM after the first 90 days. Available only in the 48 contiguous United States and District of Columbia. Visit gm.xmradio.com for details. ), Wipers, front intermittent with washers, Windows, power with front Express-down/-up. * The Experts' Verdict...*As reported by KBB.com: If you've longed for an American luxury coupe you can be proud of, the 2011 Cadillac CTS Coupe is the real deal. * Stop By Today *For a must-own Cadillac CTS Coupe come see us at Rock Honda, 16570 Highland Ave, Fontana, CA 92335. Just minutes away!